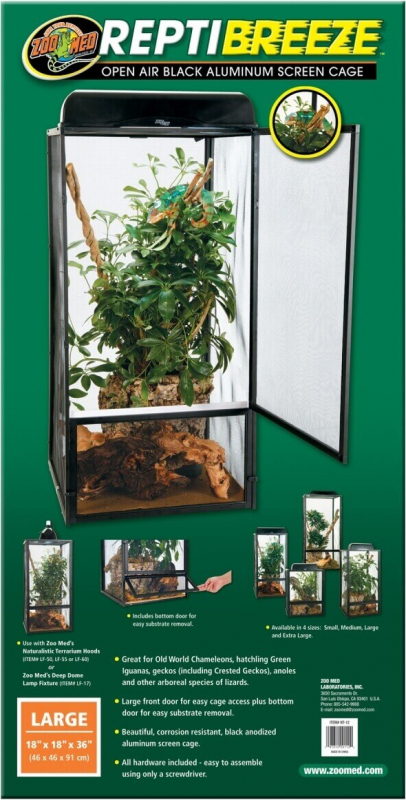 Open air aluminium screen cage! 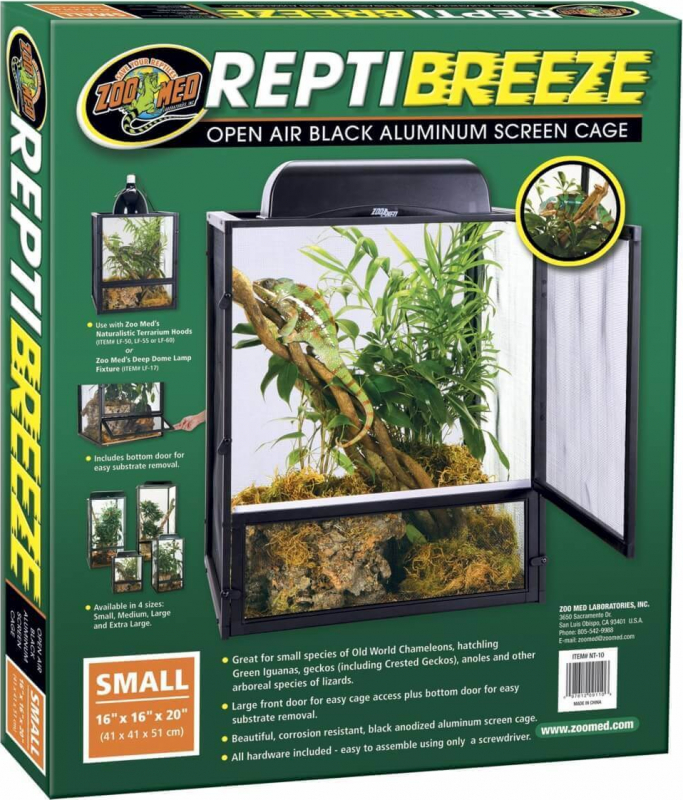 Great for small species of Old World Chameleons, Juvenile Green Iguanas and other arboreal species of lizards, such as Geckos, Anoles, and more. 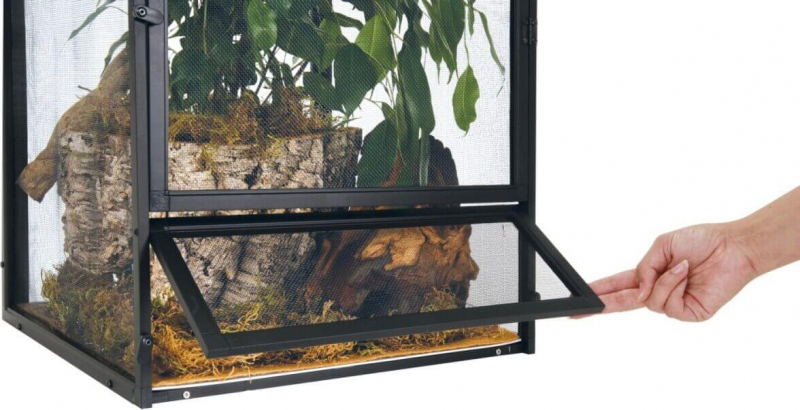 - Large front door for easy cage access and bottom door for easy substrate removal. 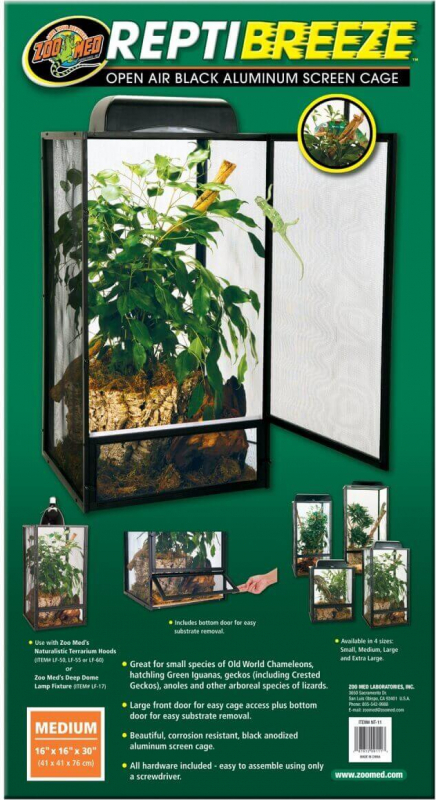 - Beautiful corrosion-resistant black anodized aluminium screen cage. 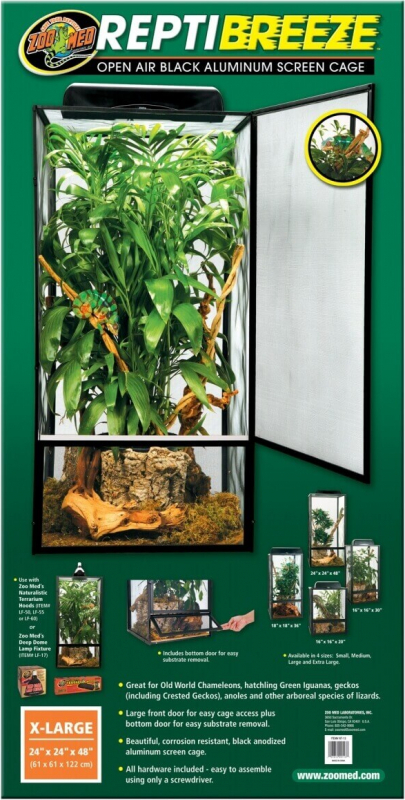 - All hardware included; easy to assemble using only a screw driver.